As the shorts and swimwear days of summer become distant memories, thoughts often turn to exercise. Whether it is to maintain how great you felt on holiday or to make sure you feel even better next year, now is the time to get yourself on mission. Getting fit has three pillars: exercise, food and activity - and you need address each one. EXERCISE This is the intense work to improve your fitness, whether it is your living-room or park workout, a gym class, a run, or a personal training session. 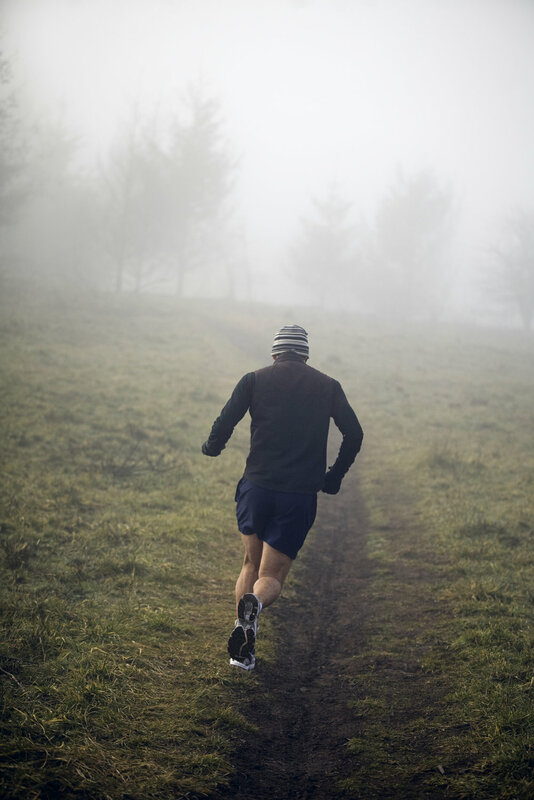 Here are three principles - adapted from Rich Roll, a fiftysomething corporate lawyer turned vegan ultra-runner (yes, I can’t believe he doesn’t live in Hackney, either), that may help you burst into action. Mood follows action If you are not feeling ‘it’ in term of exercise, just do something - anything - to get started, say 10 press-ups a day or a minute of jumping jacks thrice a week. The rest will follow. Don’t let perfection be the enemy of progress Don’t feel that you have to do the perfect routine to begin. Start simple. As you begin to feel a change - which you will - you can move on. Don’t be afraid to set a goal that scares you If you feel a goal helps to drive you, make it meaty. If you know you can achieve it, then all you are doing is checking off a list. Be ambitious. FOOD Whether you want to lose weight, have more energy or perform better, you need to get your food right. Start with a personal audit of what you are eating and drinking. Be honest with yourself and write it down. Are Celebrating Artistic Diversity in Forest Gate you drinking too much alcohol, eating excessive sugary snacks, or missing out on green vegetables? After that, everyone needs a healthy eating plan. There are plenty out there to choose from (and you can make up your own), but the guiding principle is that you are going to eat normal food in the right amounts and ratios. You could start your planning by looking at books, websites and apps by writers such as Michael Mosley, the BBC doctor who wrote the Fast Diet; Madeleine Shaw; and Joe Wickes. They all encourage normal, healthy eating. If you want the personal touch, there is highly regarded nutritionist in Hackney called Matt Lovell (just Google him). ACTIVITY This is the day-to-day movement in your life, the walking, gardening, dancing and physical work. This is often under-rated, but is important for heart, head and waist. If you are desk-bound, you need to get moving - walking to work, and at weekends or - as a last resort - round the office like the presidential staff in TV’s The West Wing who conducted business while on the move. If you are looking for a meaty walking event, Action Challenge run a 20km walk around London in January. It can be harder than you think, but you do get snacks and a medal if you finish. See www.londonwinterwalk. com If that whets your appetite, they organise a 100k London to Brighton walk in May. I did it last year in 28 hours. Now, that is a meaty challenge.